The independent Local Government Boundary Commission for England has published its final recommendations for new electoral arrangements for Oxford City Council. Today’s publication follows three rounds of public consultation and draws new boundaries for each council ward across Oxford. 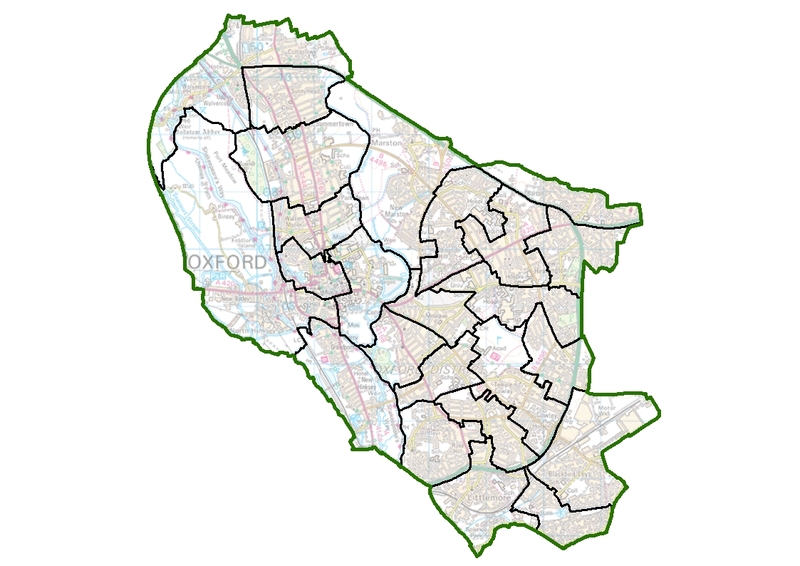 All but three of Oxford’s current council wards will change as a result of the review. The Commission’s final recommendations propose that Oxford should be represented by 48 city councillors in the future: the same as the current arrangement. The recommendations also propose that those councillors should represent 24 two-councillor wards. Professor Colin Mellors, Chair of the Commission, said, “We are extremely grateful to people across Oxford who took part in the review. The Commission has looked at all the evidence that was put forward during the consultation. The Commission listened to local feedback on its draft plans and has made changes to its proposed wards in several parts of the city. For example, the Commission has accepted arguments made by the Harbord Road Residents’ Association and residents to change its draft proposals in Wolvercote and Cutteslowe in the west of the city. Wolvercote ward will include Wolvercote village as well as the St Peter’s Road, Five Mile Drive and Harbord Road areas and will sit alongside a Cuttleslowe & Sunnymead ward. In the northern part of east Oxford, the Commission has agreed to change the name of its proposed Barton ward to Barton & Sandhills as a better reflection of the communities contained within it. In west Oxford, residents in the Rewley Park area argued that they should be included in a Jericho ward where they shared community ties. The Commission has listened to the arguments made and has changed its recommendations to reflect those views. In the southern part of east Oxford, the Commission held an extra phase of consultation at the end of last year because it proposed significant changes to its original proposals. The final proposals are for a St Mary’s ward alongside a St Clement’s ward as proposed by the Commission in November 2018. Further to the south, the Commission has retained its original draft proposal for a Rose Hill & Iffley ward as the best reflection of community ties in this part of Oxford. The proposed new arrangements must now be implemented by Parliament. A draft Order – the legal document which brings into force the recommendations – will be laid in Parliament in the coming months. The draft Order provides for the new electoral arrangements to come into force at the council elections in 2020. Full details of the Commission’s final recommendations (including maps) can be viewed at: https://consultation.lgbce.org.uk/node/11287.